Last night for the first time I saw Michael Moore’s movie “Sicko”. I know all my patients told me I should see it so I did. I felt it was important for me to comment on it on my Blog. Insurance companies are in the business to make money and have to report to their shareholders and they make BIG money, their CEO’s make ridiculous sums of money while patients suffer and are denied essential services. One portion of his film that stuck out to me was about how insurance companies deny claims and consider certain procedures “experimental”. This struck a chord with me because I use a procedure called Spinal decompression to treat my patients that suffer with Herniated discs and I get fantastic results but some insurance companies refuse to pay for this procedure. What I do not understand is why they will pay for a surgery and the entire fee’s that go along with surgery like anesthesia and hospital stay sometimes totaling more than $50,000 but will not pay for a spinal decompression procedure that costs $4,500. I have even had insurance companies terminate contracts with me even if I had the patient pay me out of pocket for the Spinal decompression. These patients happily pay for this because they had a friend that completed treatment and they are now pain free. What bothers me the most is that an insurance company can consider a treatment that has been proven to be effective and successful in reducing pain and increasing the disc space and take pressure of the pinched nerve “without surgery” experimental. This is kind of like when that young girl in “Sicko” needed a cochlear implant and Cigna said it was experimental to put it in both ears! The patient fought and complained and eventually was able to get them to cover the procedure. In the past I had several patients pay for the procedure and send letter after letter to their insurance and finally get reimbursed. In my Manhattan Chiropractic practice I even had insurance companies pay me for spinal decompression 100%. It is really hit or miss, I recommend a patient that is interested in spinal decompression contact my office and we can verify benefits. Call (212) 645-8151 if you are within the Tri-state area. So to get back to “Sicko”, Michael Moore mentioned Canada as a system that worked well. The one thing I know about the Canadian system is that before a patient is considered or approved for a back surgery they must undergo non invasive methods such as a 20 visit protocol on a spinal decompression system. Wow if only the insurance companies here where that progressive. 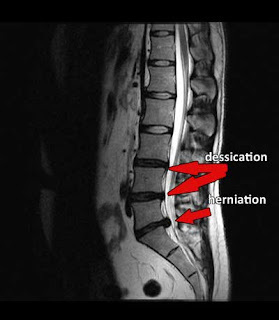 If you suffer with Sciatica or have been diagnosed with a herniated or bulging disc and have not been satisfied with your results consider Spinal decompression.